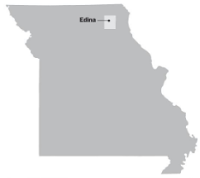 Big dailies often get the lion's share of attention (and newspaper awards), but stories like this prove that papers of all sizes produce great journalism -- like The Edina Sentinel, a weekly in the Missouri town of 1,200. After hearing rumors of sexual assaults involving the Knox County Middle School football team, Editor Echo Menges investigated. Three seventh- and eighth-grade players had allegedly sodomized up to five fifth- and sixth-grade players with metal objects while other students watched, over the first several weeks of the football season. Numerous people called the Sentinel, wanting to know the facts, but the school superintendent and sheriff wouldn't confirm details of the incident, and the school board wouldn't let parents talk about it at a recent meeting. So Menges began talking to the children and parents. The town's small size means the assaults are relevant to a higher percentage of the town, but also made it harder for Menges to investigate. Many of her sources insisted on anonymity, which she granted. If she's asked in court to reveal those sources and refuses, she would face jail time since Missouri doesn't have a shield law protecting journalists from having to reveal anonymous sources. But: "This is an important enough story that I would be willing to go to jail for it," Menges told Anna Brett of The Missourian, the newspaper of the Missouri School of Journalism in Columbia, Mo. The Sentinel published Editor Echo Menges' investigation last Friday.